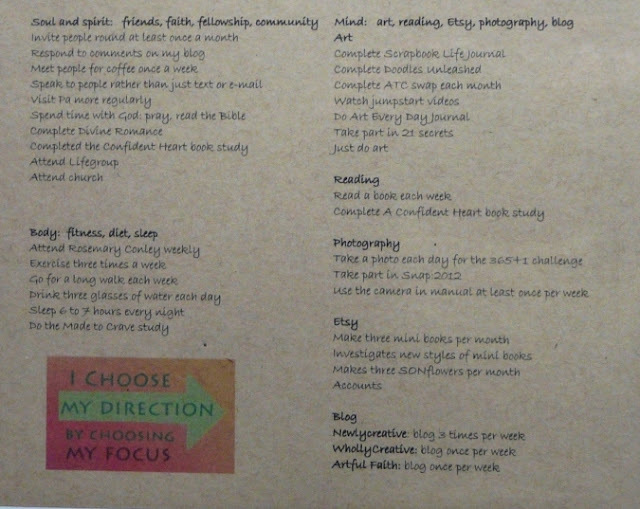 At the beginning of 2012 I set myself some goals. I thought I should look back to see how I have got on. I set out goals in various areas of my life. In this area I set myself 10 goals and I was successful in 3 of them. Mind: art, reading, Etsy, photography, blog This area takes up most of my time. I set 7 goals and gave up on most of them for a variety of reasons. Read a book each week Some weeks I read three and some months I didn't read at all. However I did download about 400 books onto my Kindle App. Perhaps I should read them! I set 3 goals - 2 of which went by the wayside in the first week of January! There were 4 goals for my Etsy shop. I haven't given any time to it at all. However I did make some journals and sell them at a Craft Fair. Looking back at the fact that I didn't achieve very many of my goals could be very depressing. However I think one thing it proves is that I probably set too many goals and had signed up to things that really didn't suit me. Or is that 2 things!?! I took part in an online course called Ashes to Beauty at the beginning of the year and successfully completed it - although I have to admit I didn't actually finish it the way Nana Campana intended but I was pleased with what I found out about myself. In addition I got to know quite a few lovely ladies including Anita Van Hal and Robin Norgren. I already knew the lovely Carolyn Philips who I invited to join the journey with me. As a result of meeting Anita and Robin, I have become part of Anita's Design Team and become the Art Journaling group coordinator on Anita's forum: Just Be Yourself. I received 4 hours of Life Coaching from Robin which enabled me to change my perspective on how I view myself and my work. As a result I set up the blog: An Attitude of Gratitude and completed 30 days of gratitude prompts and a complete 30 days of a Gratitude Journal. I'm pretty sure as well that prior to the coaching I would have become very depressed about my lack of completing the goals I set myself, so I have a great deal to thank Robin for. I also completed a 13 week series on my blog called Celebrating UK Artists. If you haven't read the interviews yet you can find a link to them here. I chose FOCUS as my One Little Word for 2012. However I lost sight of it around the middle of the year along with the class I was doing with Ali Edwards on Big Picture Classes. 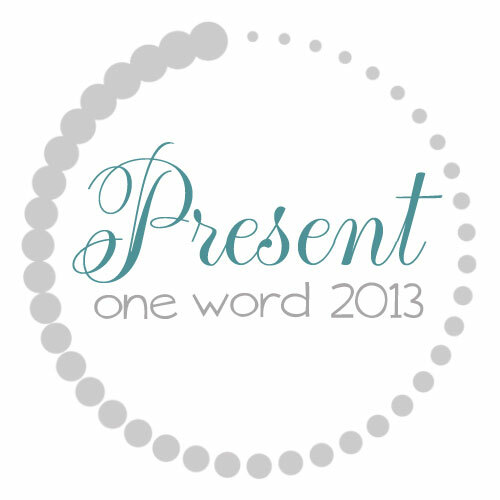 I’m going to try again for 2013 and I have chosen the word PRESENT. I am going to look at being ‘present in the moment’ and the gifts that God has given me. Come back in January to find out more. Prior to 2012 I rarely walked much more than from the front door to the car or around the supermarket and I set myself the goal of walking one long walk each week for this year. It has been my most successful goal. I completed a walk every week for 52 weeks and a few extra ones!!! If you haven't already, you can see a photograph from each week here and here. If you're interested in my goals for 2013, please come back tomorrow. In the meantime I wish you a very Happy New Year. 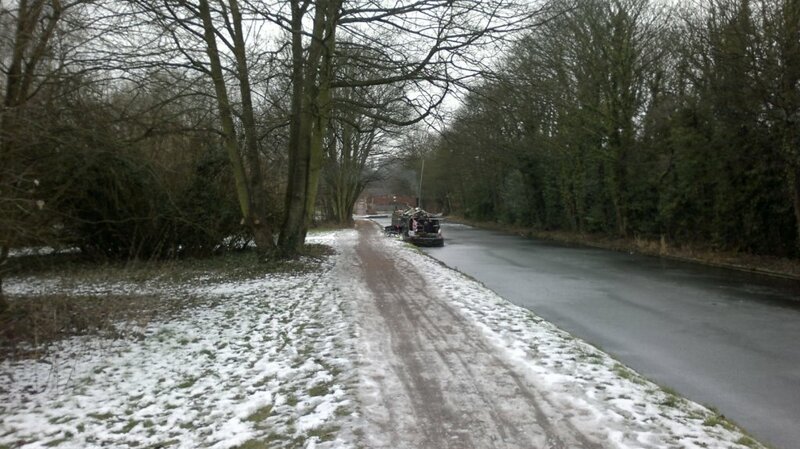 During 2012 I actually did 59 walks as when we were away we often did two or three walks in the same week. However I have only chosen one photograph to represent a week. There seems to have been a bit of a duck theme in July! I have had a fabulous time this year completing this goal. It has meant spending time with Roger, having pub lunches (although not on every walk!) and proving to myself that I can set myself a goal and complete it. Join me tomorrow to see my review of 2012. I set myself the goal of taking one long walk each week throughout 2012. I took my camera along and recorded every walk. And there are recurrent themes: leaves, swans, mud, canals, muddy water and beaches. I have chosen one photograph from each week: 26 today and 26 tomorrow. Well done if you made this far. I hope you have enjoyed a small sample of the hundreds of photos I took during these 26 walks. I hope you will join me tomorrow for a roundup of the rest of the year.